Saint-Pères-Verneuil. This floor through apartment is on the third floor of a fine 18th century building with a lift set between a courtyard and a garden. 167 sqm of living space includes a spacious living/reception room, a dining room, and three bedrooms with bathrooms. With a maid’s bedroom, 100000€, and a storage room. It is possible to park in the building’s courtyard. 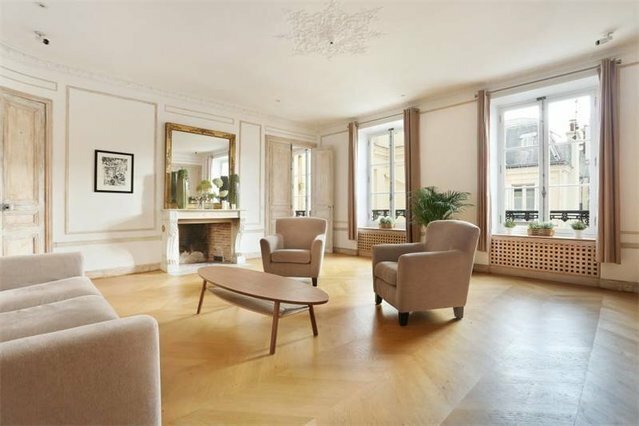 A beautiful apartment in the heart of the capital’s keenly sought-after Carré des Antiquaires neighbourhood.